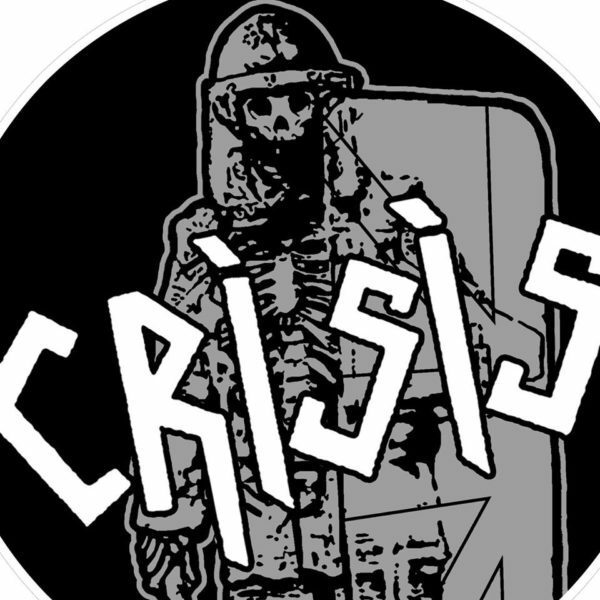 Post-punk rockers Crisis are distinctly edgy, controversial and create music that is about society, government, and anti-Nazism. Their sound was once described as ‘music to march to’ (Sounds magazine), and true to this tagline, the band performed at many rallies in the 1970’s – from Rock Against Racism (RAR) to Right To Work. Despite splitting up in the early 80’s, Crisis’ politically-charged music has continued to resonate in UK culture and their far-left lyrics are seen by many just as relevant in 2018 as they were in the band’s heyday. Out of the ashes of Crisis’ split came Death In June, Theatre Of Hate and Carcrash International. Today, original bassist Tony Wakeford has reformed a new line-up of Crisis and the band are back in action. Tony (Sol Invictus) is joined by Clive Giblin on guitar (Alternative TV, Sol Invictus, Two Worlds Collide), Lloyd James on vocals (Naevus, Retarder) and and Igor Olejar on drums. Expect all the iconic Crisis songs with the same determined, infectious energy.